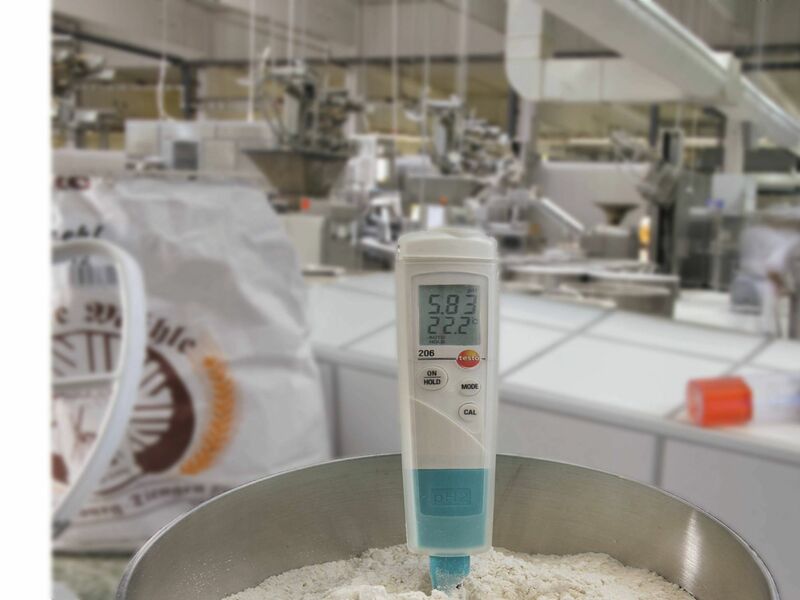 pH value and temperature are key parameters for guaranteeing the quality assurance of products in the food sector, in the cosmetics industry, in the sanitary and HVAC sector, etc. 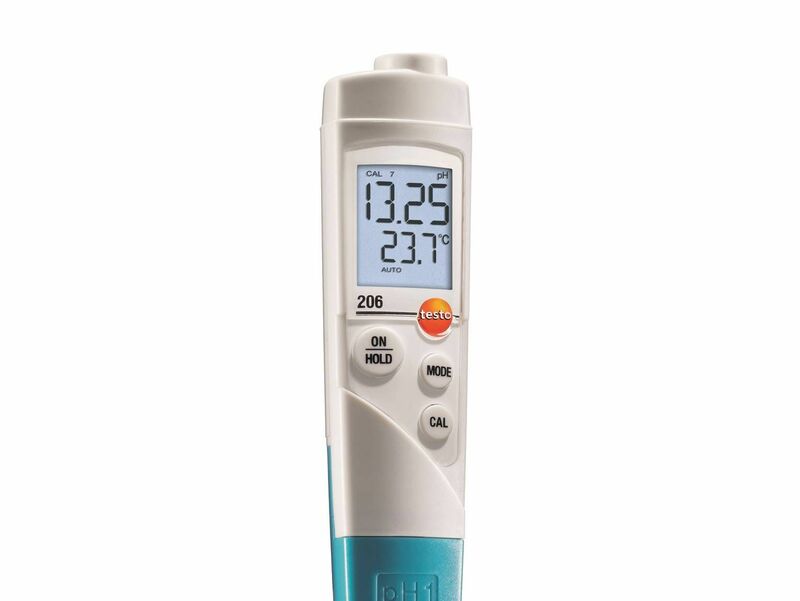 With the testo 206-pH1 starter set, you can get started straight away with measuring the temperature and pH value in liquids (e.g. in drinking or heating water). 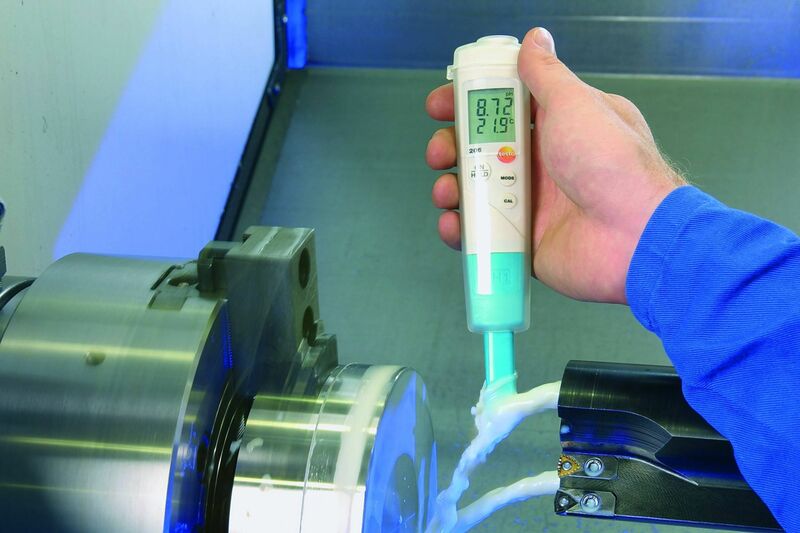 With the development of different, breakproof probe geometries, Testo is making available special solutions for liquid as well as for viscoplastic substances. The leakproof storage solution is also new. 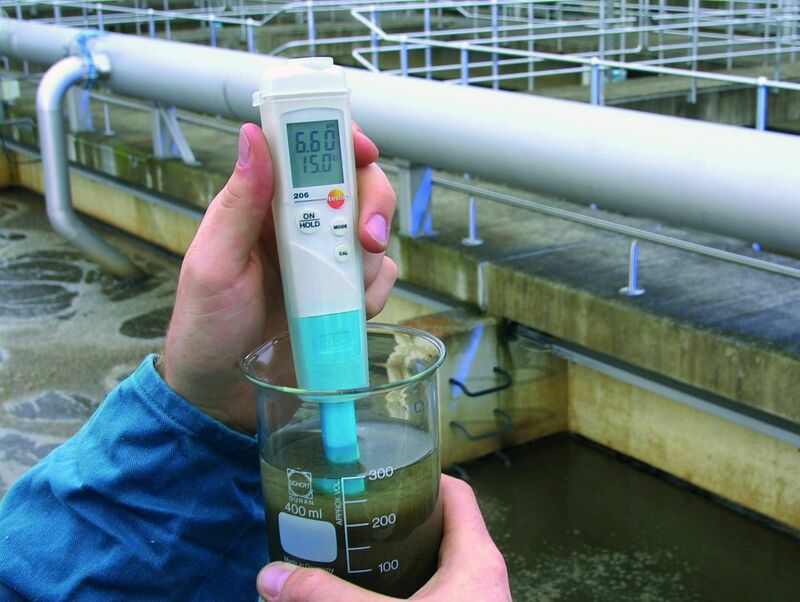 pH probes must be stored in moist conditions, when not in use, in order to prevent the glass membrane coating around the measurement electrode and the diaphragm from drying out. 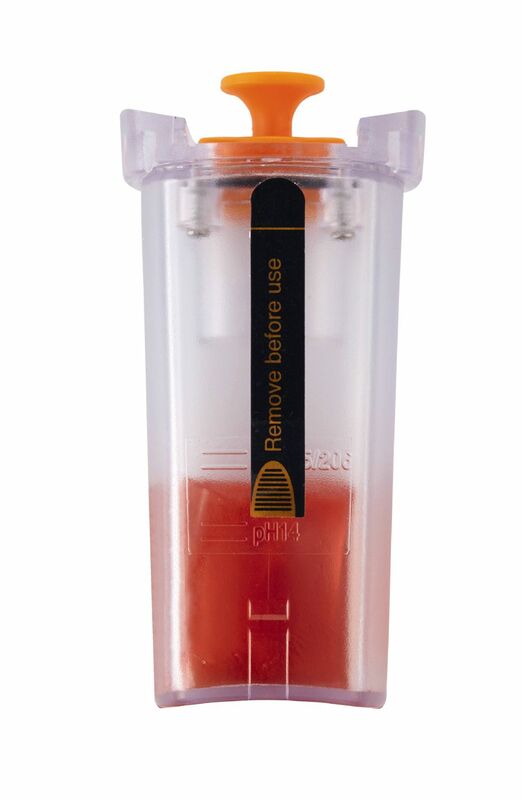 Pure water alone should not be used since water would release the conducting components contained in the probe electrolytes. A potassium chloride solution is usually used for this purpose. As with every liquid, it can leak which, particularly in the food branch, can lead to contamination of raw foodstuffs or products. 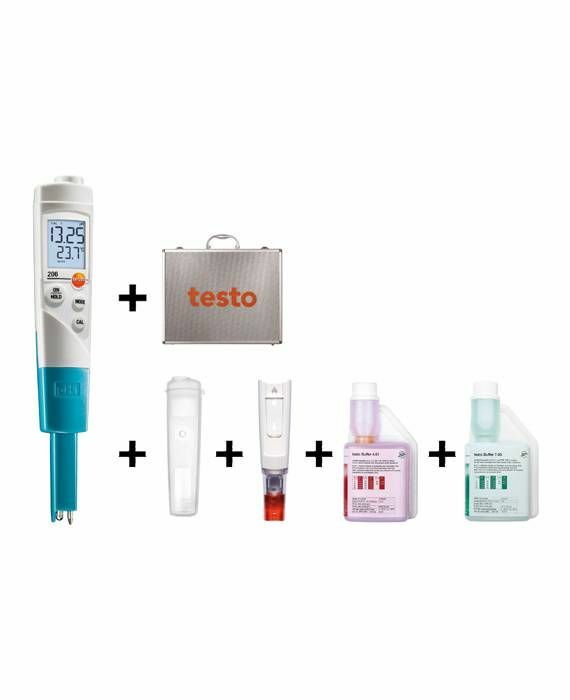 Testo, with its new gel storage, has eliminated this disadvantage. The potassium chloride solution is available in a container in gel form. What doesn’t drip can’t leak! 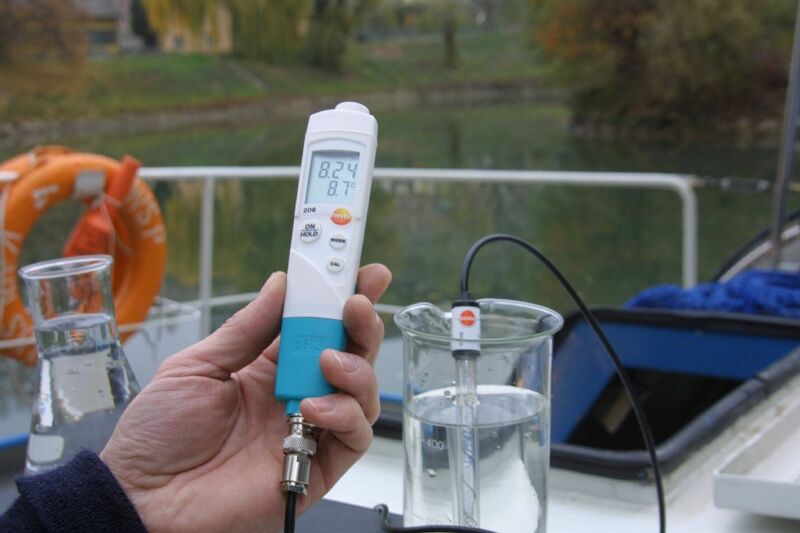 there are chemical and biochemical reactions,the pH value has an important indicator function. 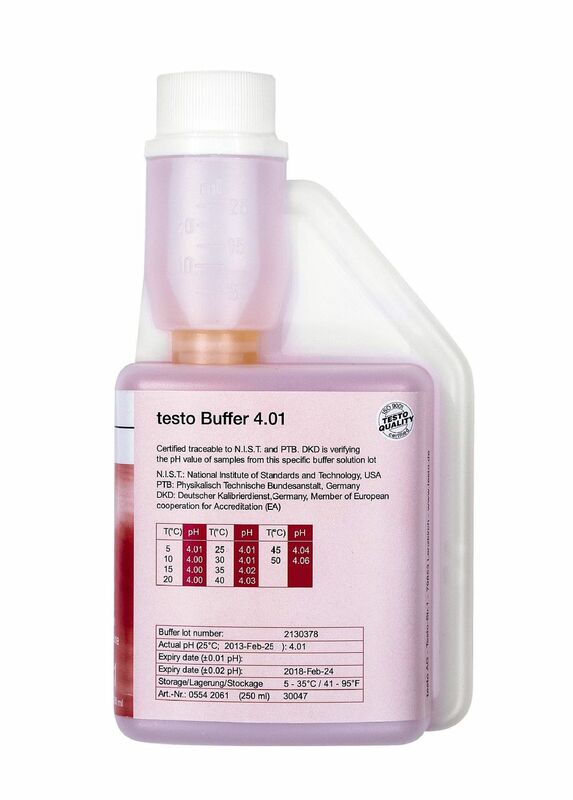 for use in tough industrial conditions. The pH value is a crucial factor when it comes to assessing the quality of cosmetic products. Cosmetic products which are too acidic can cause skin irritations or rashes. The pH value of the skin is normally between 5 and 6.5 thanks to its natural protective acid mantle. “Skin-neutral” cleansers are actually slightly acidic and can support the skin's protective acid mantle, which is particularly important for people with sensitive skin. On the other hand, alkaline cleansers could encourage the skin's process of replenishing its natural oils. - Robust, waterproof and dishwasher-safe “TopSafe” protective cover (protection class IP68) to meet strict cleaning requirements in the pharmaceutical sector.